Indigenous body painting is not a new custom. 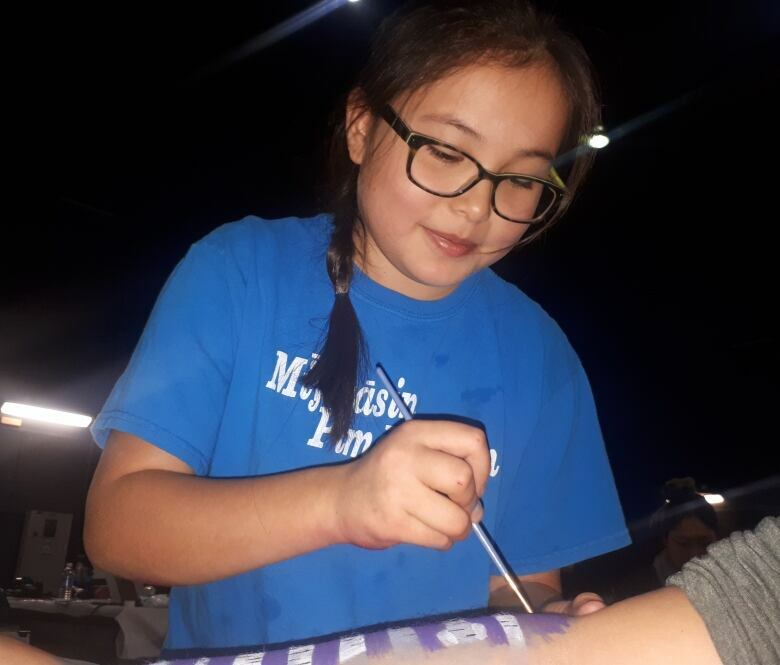 A workshop in Regina explored the history of indigenous body painting and introduced how to do body painting in a contemporary way. Garnett Tootoosis says he is covered in tattoos "from-head-to-toe." When asked if he can count how many, he laughs and says no. "The art on my body is more a representation of my family and the things I been through." said Tootoosis. He has his Cree name and the Cree words for "faith" and "family" on his face along with a feather. 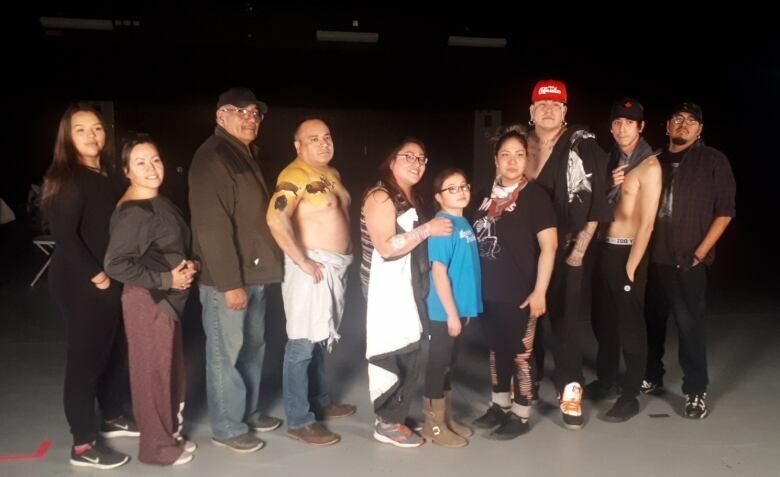 This week Tootoosis, his partner Larissa Kitchemonia and other artists in Regina got a chance to learn about the role of body art in traditional Indigenous culture. It was part of a two-day workshop in Regina titled Where We Stand, which aimed to teach the history behind Indigenous body painting and show Indigenous artists contemporary body painting techniques. Amber Maxie created the workshop. "It's only contemporary in the sense of the material that we're using. For Indigenous people, body painting and face painting is really historical and very significant, very spiritual and very powerful. That dates back generations, thousands of years even." Maxie said Where We Stand is a theme for grounding the participants and exploring their identity. Wayne Goodwill is an elder and artist from Standing Buffalo. He was brought in to share traditional teachings he learned about Indigenous body and face painting. Goodwill said he had never been asked to publicly share that knowledge about Indigenous body painting before. "Face painting came with birthdays and Indian names, in death, people were painted when they die. People were painted when they were at battle. People painted when they are dancing," he said. He said men and their horses would be painted in the same colours at ceremonies. Being painted was a spiritual experience and was done in a ceremonial way. "When they were coloured like that, they were spiritual. They even use those colours in battle. Some of the medicine men had special colours." Goodwill said his grandfather told him that some were given special colours that were unique to them, gifted to them through a vision or dream. This colour carried them through life, gave them strength and was used as an offering through cloth. Certain colours were sometimes passed down from one generation to the next. "When I danced, my grandparents told me to use red ochre… When my grandfather died, they put red ochre on his cheeks.That's what he wanted done because that's what they did in my Goodwill family," he said. Goodwill said Indigenous people would traditionally use their fingers to paint or create their own brushes by chewing on a willow branch or cutting a feather at an angle. Amber Maxie said she overcame challenges to put the workshop on for the community. 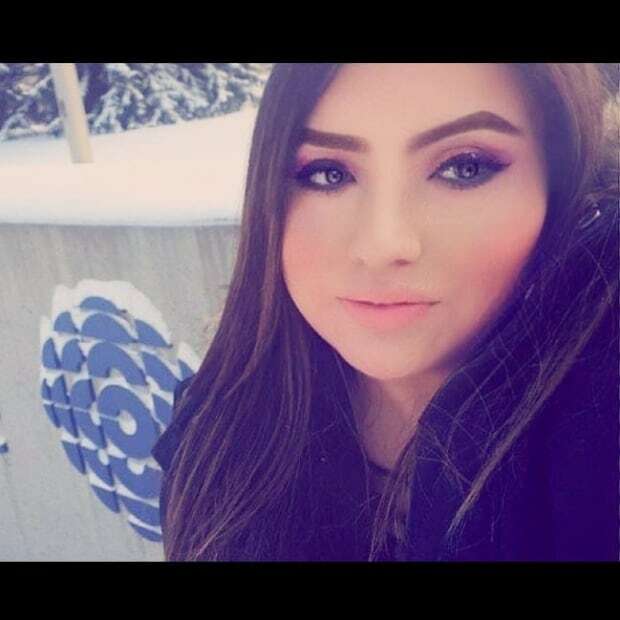 "I struggled a lot especially over the last year trying direction, trying to find an elder, people to to talk about Indigenous body painting because it's not something that is discussed but you know the knowledge is there." She found that knowledge in elder Goodwill and traditional dancer Mike Desjarlais. Artist Dorota Buczel came from Toronto to share her skills as a professional body painter with the students. "We're blending history and tradition and culture and that knowledge with a contemporary art form," said Maxie. Tootoosis and his partner said learning about why Indigenous people paint their bodies was important. Kitchemonia painted a teepee design on Tootoosis's back. Jayda Delorme, a 16 year old artist from Regina, painted a floral design on her mother's back. Local artist Micheal Lonechild painted a buffalo canvas on Dale McArthur. For people like Tootoosis, this experience with Indigenous body painting and tattooing furthers his sense of identity and storytelling. "People will always ask me stories and I will always be willing to tell my stories even when I'm gone, people will look at my body while I'm laying there and they'll know my stories just by looking at my face." The workshop Where We Stand will be made into a documentary. Maxie said they intend to do more workshops across Canada in the future.